Proud moment for JIMS, Sector-5 Rohini. 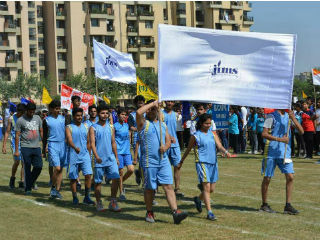 Students of JIMS Sector-5 participated in Annual Sports Meet organised by Guru Gobind Singh Indraprastha University ( GGSIPU) from 20th Oct to 22nd Oct, 2016 and brought laurels to the college by bagging 1 Gold Medal, 4 Silver Medals and 3 Bronze Medals. We congratulate the students for their wonderful performance. 1. 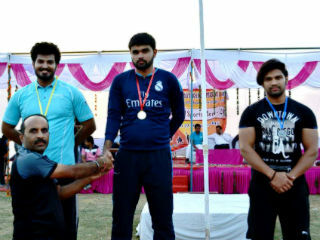 Vivek Tomer (BBA 3rd Year, 2nd Shift) - Gold Medal, Arm wrestling and Silver medal, Discuss throw. 2. 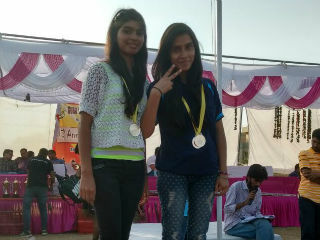 Neelam and Nishu (MCA 2nd Year, 2nd Shift) - Silver medals, Table Tennis (Doubles) and Neelam - Silver Medal, Table Tennis (Singes). 3. Manjali Bhardwaj (MCA 3rd year, 1st shift) - Bronze medals, Chess and 1500 Mtr Race. 4. 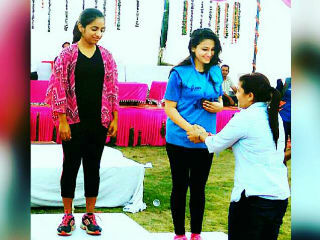 Paramjeet Drall (BBA 1st year, 1st shift) - Bronze medal, Arm wrestling.